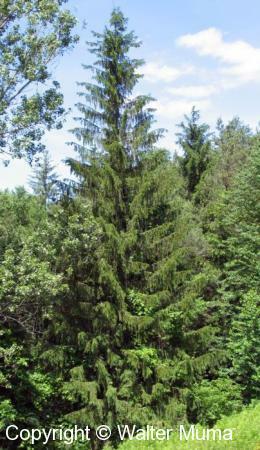 Distinctive features: Tree; Drooping branches. 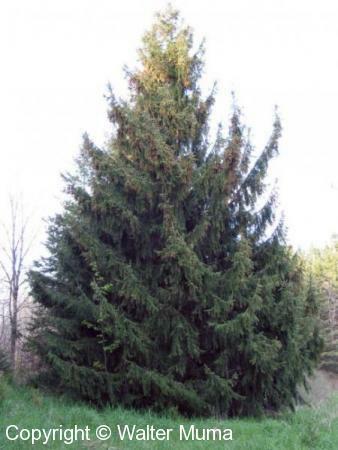 Habitat: Forests, Fields and Open Areas; Open areas, where planted. Photographs: 67 photographs available, of which 12 are featured on this page. SCROLL DOWN FOR PHOTOGRAPHS. 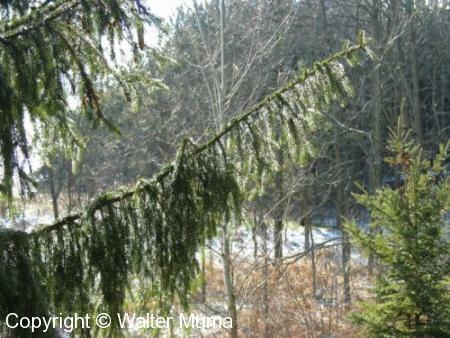 Norway Spruce trees are beautiful spruce trees with branches that hang down, as in the above photo. They are not native to North America. Closeup view of the needles. 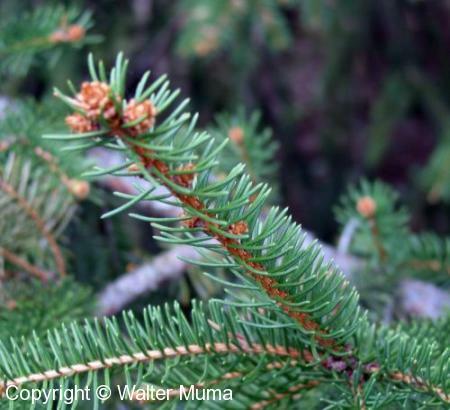 These are typical Spruce needles, in that they are 4-sided (but not necessarily square). 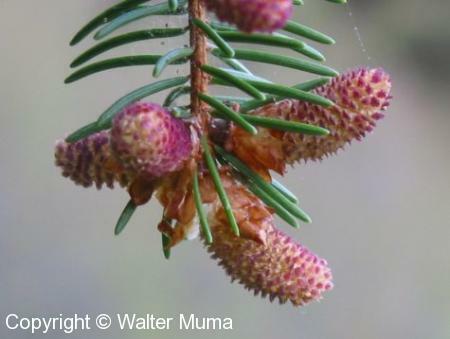 Developing cones. These are not yet "ripe". 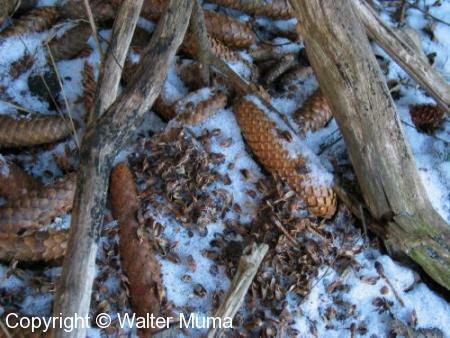 A pile of fallen (or harvested by squirrels) Norway Spruce cones. 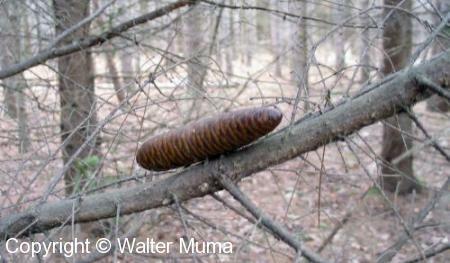 Squirrels will sometimes place the cones on a branch of the tree. 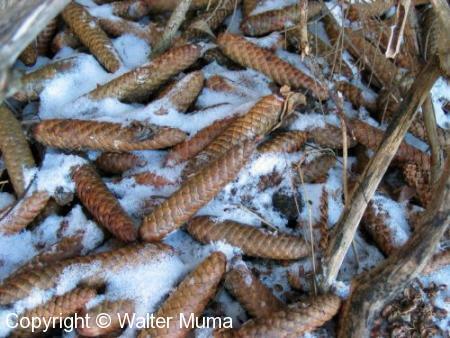 The cones are an important winter food source for squirrels (usually Red Squirrels). 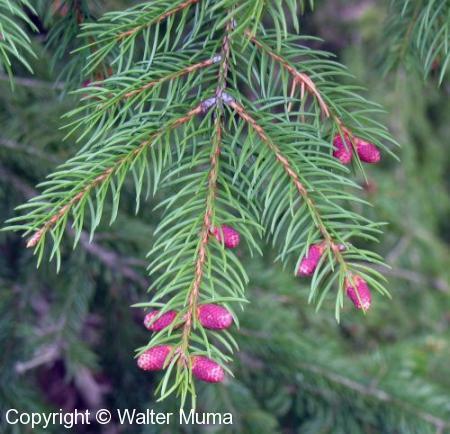 Pollen cones developing in the spring (late May).